In Parliament on Monday, MP for West Coast GRC, Mdm Ho Geok Choo, asked for the eligibility criteria for Permanent Residency to be tightened. With the recession biting deep, Madam Ho said firms should also look into ways to encourage the retention of jobs undertaken by Singaporeans and Permanent Residents, such as “requiring the employment of a certain number of them before foreigners can be hired”. “Yes, foreigners contribute to Singapore’s economy as well, but we as a government have a duty, first and foremost, to assist our citizens and permanent residents in all ways possible,” she said. 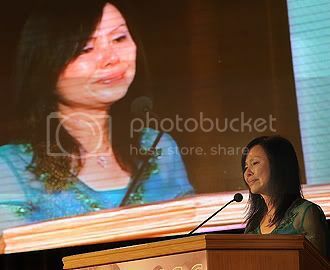 Citing news reports about growing number of people applying for Permanent Residency status, Madam Ho suggested that the the eligibility criteria be tigtened. “If we don’t, Singaporeans and PRs will be even more hard pressed in the competition for jobs at this critical juncture, and pay could be even more reduced,” she said.